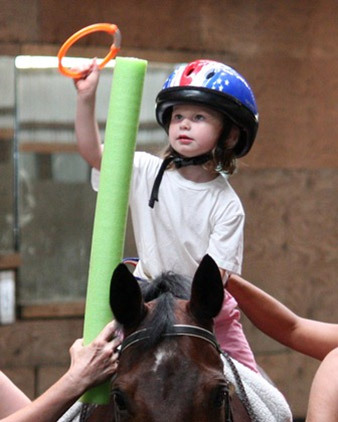 Hippotherapy is simply the use of a horse as a tool during physical, occupational or speech therapy sessions. Equine movement provides multidimensional movement, which is variable, rhythmic and repetitive. The horse provides a dynamic base of support, making it an excellent tool for increasing trunk strength and control, balance, building overall postural strength and endurance, addressing weight bearing, and. motor planning. The horse’s walk provides sensory input through movement, which is variable, rhythmic, and repetitive. The resultant movement responses in the patient are similar to human movement patterns of the pelvis while walking. The variability of the horse’s gait enables the therapist to adjust the degree of sensory input to the patient, and then utilize this movement in combination with other treatment strategies to achieve desired results. Patients respond enthusiastically to this enjoyable experience in a natural setting. Our Hiipotherapy program run by the therapist of NeuroSuit offer 45-60 minute sessions on the horse to achieve therapeutic goals. 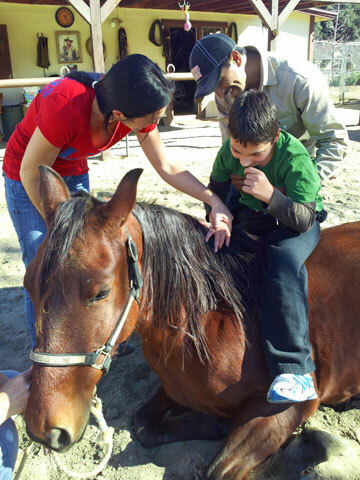 Patients can attend weekly sessions at our location at Splash of Passion Ranch in Pine Valley, Ca just 45 east of downtown San Diego. (www.splashofpassion.us) For those in our NeuroSuit Intensive Therapy Program the Hippotherapy program is included in the cost of the program. 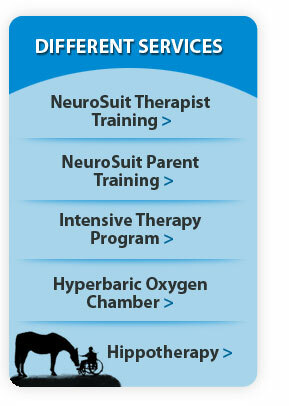 Contact us NeuroSuit@gmail.com to schedule your hippotherapy session.